Members of the Musical Theatre Community of the Lower Mainland of Vancouver celebrated the musicals of 2012 by giving out 25 awards to various companies and members of the community last night. Among the night’s honorees, director writer, designer and producer of musical theatre Shel Piercy received the Longtime Achievement award. A surprise to Mr. Piercy, he managed to accept the award with a witty thank you speech, noting that since he started his career in 1971, 40-plus years in the business is indeed a LONG TIME. 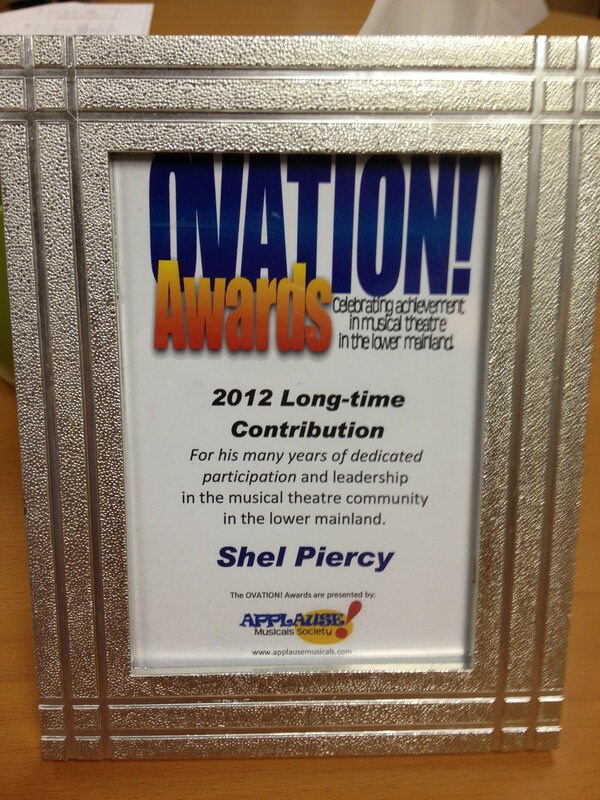 Mr. Piercy was nominated as Best Director for last year’s hit musical I Love You Because. He has been writing, directing, and producing theatrical plays, musical TV specials, documentaries and feature films for over 40 years. He has worked with and continues to work with a number of theatre companies throughout the lower mainland; however, he is most widely known for his incredible involvement with Theatre Under the Stars. 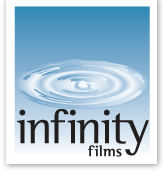 When not directing and producing, he serves as president of the Infinity Films. APPLAUSE! Musicals Society, a registered non-profit charity, has been sharing the excitement and passion of great showtunes through a series of entertaining, historical and educational concerts & revues since 1997.